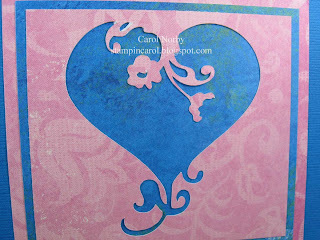 I'm still trying to use up this one paper pack from The Angel Company when I found a "negative" scrap that I had left over from using my Cricut. Of course, I had to use it!! The text is also from a set by The Angel Company. 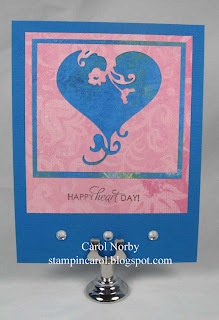 I love how the heart looks with the blue background! Here you can see it a little better. So feminine! 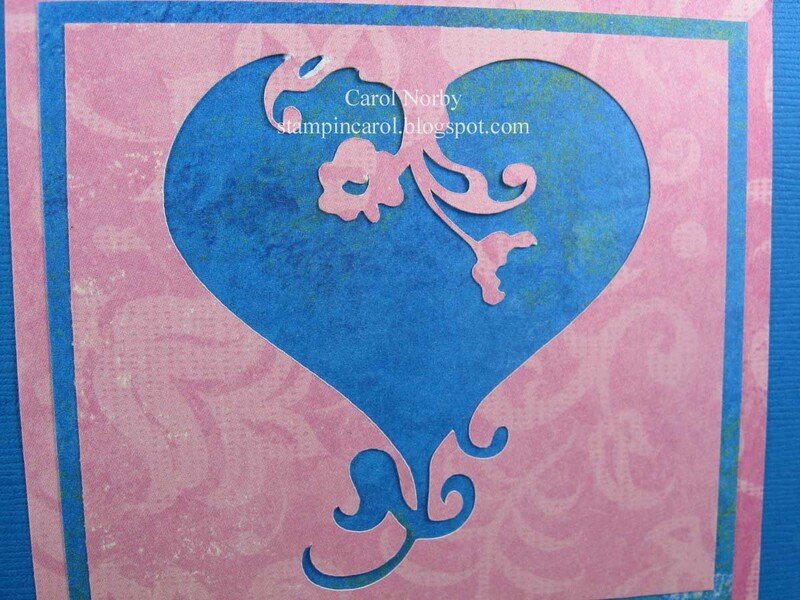 And the paper is perfect, to me, with all the swirls! 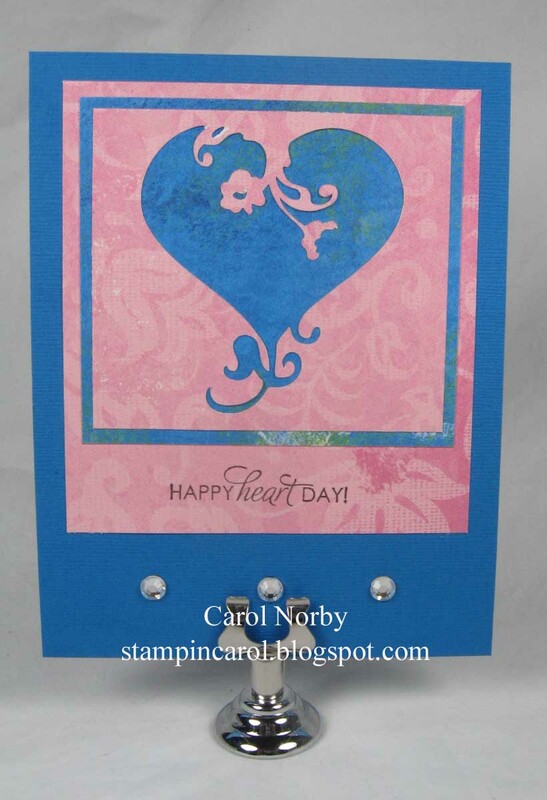 And, of course, I had to add 3 large rhinestones to finish off the bottom of the card! What do you think? 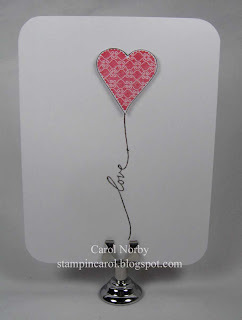 Then, while I was blurfing (blog surfing) some of the blogs I follow I came across Lauri Willison's Soapbox Creations and I was so taken with this simple card that I CASE'd it! Isn't this absolutely elegant in its simplicity??? You need to check out her projects!!! 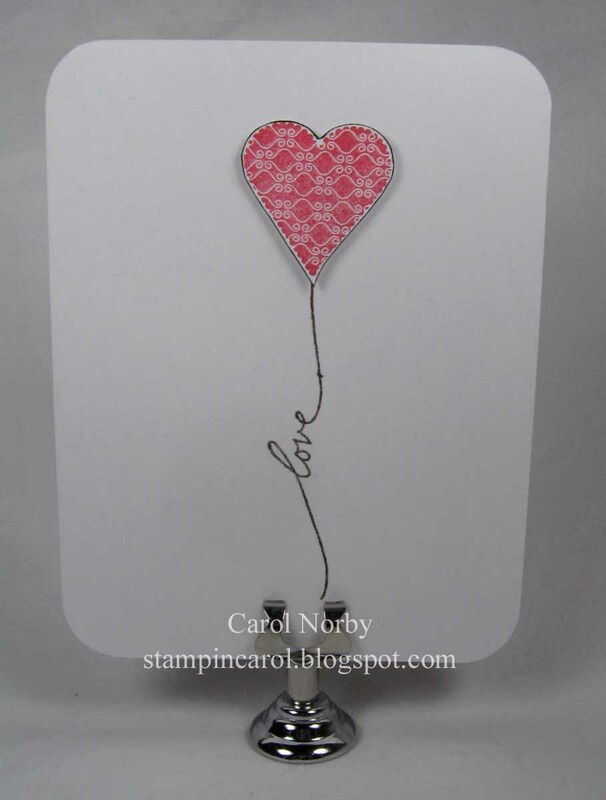 Love them both - especially the one you cased - I saw that and went OMG - and I had seen it on Lauris blog - it just makes a statement and stands alone. New Years "vow" use up paper!!! We will see hos that goes. Your card is gorgeous! I love the colors you used.